BISMARCK – The North Dakota Department of Agriculture (NDDA) has developed 2018 North Dakota-specific protocols for in-crop use of Dicamba on soybeans. The affected formulations are XtendiMax by Monsanto; Engenia by BASF; and FeXapan by DuPont. In October, the Environmental Protection Agency (EPA) released their new label language classifying the new formulations as restricted-use products. The federal label also prohibits the use of any tank mix partners that are not stated on the label. The EPA’s new requirements are intended to mitigate the chance of any off-target movement of these chemicals in the next growing season. No applications may be made after June 30or after the first bloom (R1 growth phase), whichever comes first. No applications may be made if air temperature of the field at the time of application is over 85 degrees Fahrenheit or if the forecasted National Weather Service high temperature for the day exceeds 85 degrees Fahrenheit. North Dakota has a unique climate that is different than other soybean-producing states. The application season typically has low humidity. The dry and less humid environment can significantly increase product evaporation and potential off-target movement. Applications of the product may only be made from one hour after sunrise to one hour before sunset. Applicators must maintain a speed of 12 miles per hour or less when applying products. Any applicator working under the supervision of a certified private applicator will also be required to complete the Dicamba-specific training course before being allowed to apply the product. Applications must be made with a minimum of 15 gallons of spray solution per acre. No applications may be made using 80-degree or less spray nozzles. The new labels and registration process may still take several weeks to complete. The products will not be available for purchase until the registration process is complete. 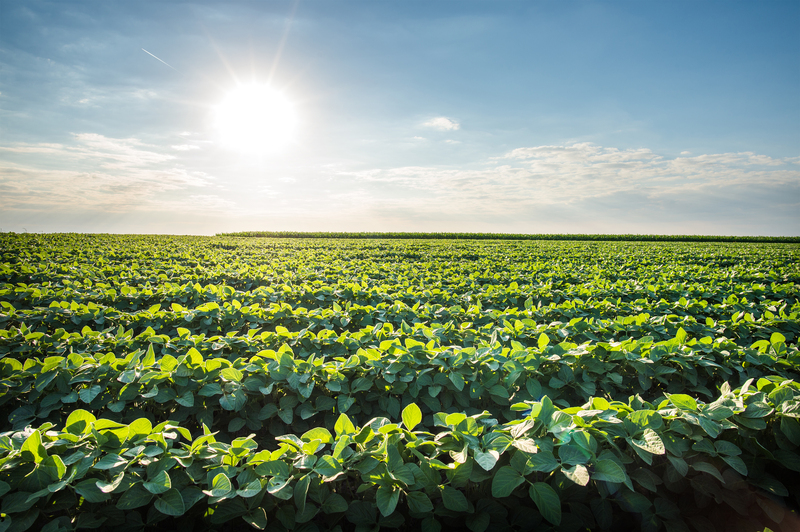 The new protocols will only affect applications made on soybeans for XtendiMax, Engenia, and FeXapan. The restrictions will not affect generic Dicamba.